An unusually large and utterly superb original 1800's antique gilded mirror with original mercury glass plate and backboards. Exquisite painted detailing. Removed from behind Clarence House in 1948. 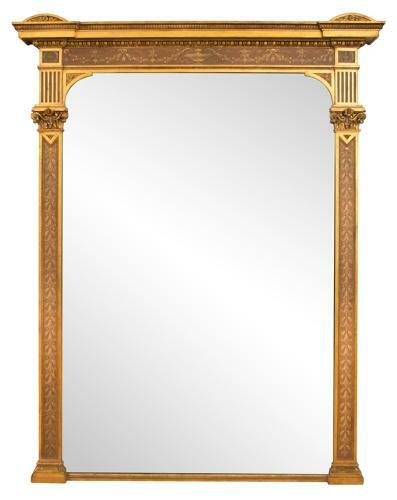 A large antique gilded mirror with original mercury glass plate and backboards. THIS IS A TRULY SUPERB AND VERY RARE MIRROR. PLEASE COME AND SEE THIS MIRROR-IT SHOULD BE IN A NATIONAL TRUST HOME..